darkSpyro - Spyro and Skylanders Forum - The Legend of Spyro: The Eternal Night - Anyone done a console walkthrough with commentary? 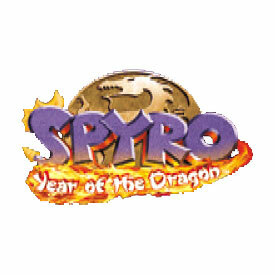 darkSpyro - Spyro and Skylanders Forum > The Legend of Spyro: The Eternal Night > Anyone done a console walkthrough with commentary? Ive looked on youtube a lot and seen no good walkthroughs with commentary for this game..Anyone on DS made one or know of one? All conslole spyro games completed. Saying things like this is my job. wow, I've never played GBA version of this, why do you and many people consider it better? just want to know so I can see if I can get it for myself and is it better than the DS version? The GBA version has completely different gameplay. It is a sidescrolling beat'em'up. It's just generally better, the gameplay is better, for the console the music, graphics and effects are all better, and the balance is better, there is plenty of stuff to do, there are Easy, Normal and Hard modes to play, a hidden mode, a Combo Hall, more levels than the console version, a world map to go to any level between them, over 30 hidden relics, and a variety of upgradable abilities. It's just more full and fun and well told overall. Here is the trailer, and if it combined with this post does not sell you on buying it, nothing will. And yeah, I prefer it to the DS version, but I'm not a big fan of that anyway. faun did play the gba version of eternal night and it was okay. not the great thing everyone claims, but an enjoyable bit of platforming and a fun bit of official fanfiction (the characters were a bit more well developed in it). but op didn't say anything about looking for a walkthrough of the gba version, so it was assumed they were looking for the console titles. I would do a walkthrough if I could beat the game and had a good way of recording it. so far they are only partway through eternal night, but they've pretty much covered everything that makes the games bad up to that point as well as shown comprehensive gameplay footage.